but it has been great investigating their music and talking with the guys. They have been telling me about their single, Headlights, and what it is all about. 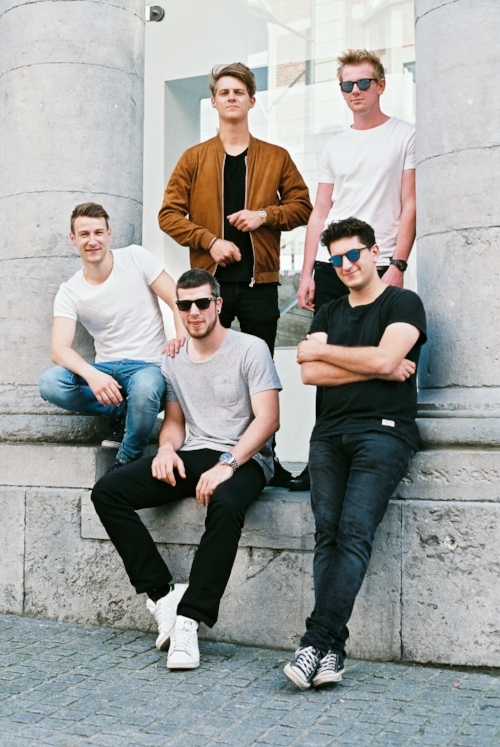 I was eager to know what it was like working with Huub Reijnders on their E.P., Joyride – they tell me what gigs are coming up and whether a U.K. stop is coming. I discover how the band got together and how their music has evolved; if there are new artists we need to keep our minds open for; whether there is any sage advice new artists need to take on board – the guys each select a song to end the interview with. Hi, Sam! We’ve had a fun week so far. It’s pretty calm on the band’s side because we have some students in the band who are preparing for their finals - but we did a show for national radio yesterday and we got back the mixes for some new songs we’re working on. So that’s always nice! 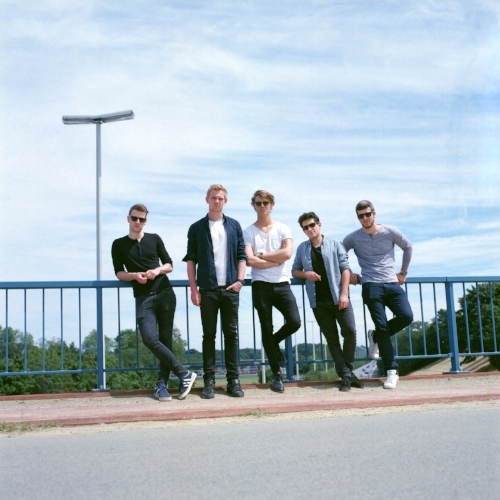 We’re a five-piece Indie outfit from Belgium Our influences include artists like The Wombats and The 1975 but there’s a lot of different genres creeping in left and right. Overall, we’re quite the sucker for a good Pop song but, from time to time, we do find ourselves writing songs that don’t necessarily really fit the Pop structures or sounds and these tend to be our personal favourites. So, we’re curious where that road will take us. Headlights, definitely, is one of those! We had a break-through year in Belgium last year and now we’re aching to branch out to other territories. Talk to me about Headlights. What is the inspiration behind the song? The song is mainly about how closely love and fiction are connected throughout the night and regards nightlife romances as if they were a bit unreal because they are experienced in a haze or a foggy state of mind. It’s hard to say where we picked up inspiration: most of the time we start off from a musical idea. In this case, the song sort of developed around the almost choral repetition of that main sentence: “Shut off all the headlights”. When working on the arrangement, this song really took off in a totally different direction in comparison to what we’ve been doing up to that moment. But, we all instantly liked it. It’s a little more synth-based than our previous work and also a bit less cheerful and more ambivalent. That’s definitely a side of our sound that we want to explore more in our new work. Lyrically, Willem (Keys) matches the mood of the song to the right words once the arrangement is done; so they draw inspiration primarily out of the overall vibe of the composition, infused with impressions and feelings you pick up in everyday life. It is from the E.P., Joyride. Was it cool working with (producer) Huub Reijnders on the E.P.? Definitely! We discovered Huub through mutual friends who had recorded with him in the past and, although they play a totally different style of music, we knew Huub is a really versatile producer. If you look at his track record, he really did it all; from Punk-Rock to the biggest mainstream acts, but he always manages to find the right colours to make the songs shine. We all think that’s really important: the song comes first. It’s a thin line between favouring sound or song but Huub keeps us on the right side of that line without neglecting the other side. On top of that, he’s really cool and fun guy to work with too. How do you think your new material differs to the stuff you were producing at the start? Have you brought new elements into your sound? We started out as a typical five-piece listening to late-2000s Indie-Rock like Two Door Cinema Club, Vampire Weekend and the likes and that’s also where we got the first inspiration for our sound: mostly guitar-based with a single piano or synth-line. Along the way, we incorporated other influences; mostly by adding more electronic or synth-based sounds to our guitar-based framework. We also took a slightly different approach to writing. Whereas we used to write while jamming, we now take to the DAW in a much earlier stage. This allows us to experiment with different sounds and layers early on in the writing process and this resulted in more intricate, less straightforward songs. But, it’s an ongoing process. We’ve succeeded in creating a pretty recognizable and coherent sound with our last E.P. but, as we’re working on new material, we’re discovering new sounds and using some new instruments. So, our sound is still evolving and our songwriting skills are still maturing. How did The Lighthouse get together? When did you all meet one another? We’re in a steady formation for about three years now but, before that, there have been some other formations. Bram (Vocals) and Willem (Keys) started off as an acoustic duo and, along the way, they added more musicians and instruments to the band; changing out a bandsman every once in a while to eventually end up in the current formation since 2015. Everyone knows each other through mutual friends one way or another. We all live or lived in and around Leuven around that time so it wasn’t that hard to bump into each other. Belgium is where you are based. Is there a pretty active and opportunity-lean scene there? It’s a pretty strange country music-wise, because the linguistic border between the French and Dutch-speaking part also divides the country culturally and, definitely, musically in two very distinct markets. The French-speaking south of Belgium tends to look very much to France for their musical preferences while, in Flanders, we’re a little more U.K./U.S.-oriented. Because of this, there’s almost no exchange of bands/artists between the North and the South and, as a result, the Belgian market is very small. This makes it very hard to make a viable living out of being a musician. Even with frequent national airplay and playing the big venues and festivals, it’s nearly impossible to earn a living as an upcoming band without looking to venture abroad (and that’s a really big step). At the same time, there’s a pretty vibrant scene being infused by several professional music-education programmes and a lot of ‘amateurs’ with big aspirations (like ourselves). This makes for a lot of ‘competition’ but also for a good breeding ground for a melting pot of styles and scenes. There are quite a lot of opportunities for gigging but there are only so many top venues that can host a decent club show. So; once you’ve entered that stage, the options are way less manifold. We’re still spoiled with a lot of world-class festivals, though, so that kind of makes up for it. We actually just finished a club tour through Belgium and the Netherlands. We do have some festivals lined up for the summer but the main focus is on writing new songs at the moment. Is a small tour of the U.K. a future possibility? It’s definitely a future possibility. We’ve had some U.K. fans asking us to come over a while now. We even had some of them make the trip to our release show in Brussels last November so we can’t wait to return the favour! But, there’s nothing planned at the moment. Hopefully, 2019 will expand our touring range to the U.K.
As said, we’re currently focussing on writing and we’re slowly working towards a first full album but it’s too early to tell when that would actually see the light of day. We do feel our debut album should be a sticker. We want to leave our mark with this one, so everything has to feel right about it. We’re aiming for the first half of 2019 but we really can’t make any promises there. There have been a couple of definite highlights so far. 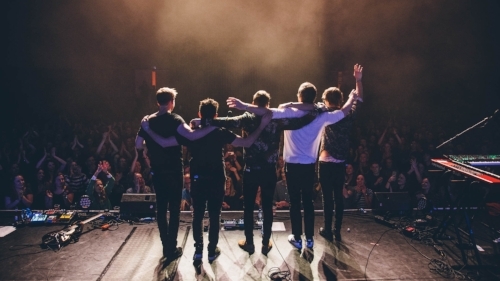 Playing the Sziget Festival in 2015 is surely one of them. This happened pretty early on in our current formation and immediately made for a pinnacle of our young musical careers. But, last year was really one long-lasting rollercoaster. Our music got picked up by national radio, giving us the opportunities you dream of as a kid. It’s really hard to pick one favourite. Playing Pukkelpop for almost 10,000 people was really awesome - but our first sold-out headline show in the legendary Ancienne Belgique club was also very fulfilling experience! Every time a fan expresses that our music means something to him or her; the thought that your music really has an effect on peoples’ lives…that’s always special as well. It’s difficult to choose between an artist that we greatly admire or ones with a huge crowd. We’d love to open up for Bon Iver or Phoenix just to let them know how much we love their work. But, in terms of an enormous superstar audience, we would have to wait for Oasis to reunite or the next Daft Punk show, whenever that will be. As for our rider, we’re pretty satisfied already. A few beers to lighten the mood are all we need! But, when we really can push the limits a masseuse and a personal cocktail guy would be nice. When you’re in a band, your bandmates are not just the guys you happen to make music with: they’re also your best friends. When practice is over, or after a show, don’t go home and get a beer together: have a party and dance the night away! Also, play as many shows as you can because it’s the best way to keep growing as a group - and you get to know so many interesting people. We’ve been jamming out to Kid Astray, a band from Norway. Their latest E.P. has a couple of great earworms. (Shout-out to Joanne!). Talking about Norway, we’ve taken a great liking to Sigrid and songs like Don’t Kill My Vibe or Plot Twist! Well. We don’t, actually. But, we can honestly say that, even though it’s a lot of hard work, music is the unwinding for us. I don’t think we’ll ever get tired of writing new songs and trying out new ideas. There’s nothing like starting with a blank canvas and ending up with something that could eventually reach an audience of thousands. It’s like a proud sense of accomplishment you can’t really compare with anything else.